Across the health network, employees spent some time beautifying their campuses – and having some fun in the process. See their photos in this special Flickr gallery​. Martin Luther King Jr. Day is a great opportunity to give back to the community. Members of the four Renown-wide committees believe that as well, and they’re encouraging everyone who works here to participate in the national Day of Service that takes place on MLK Day. 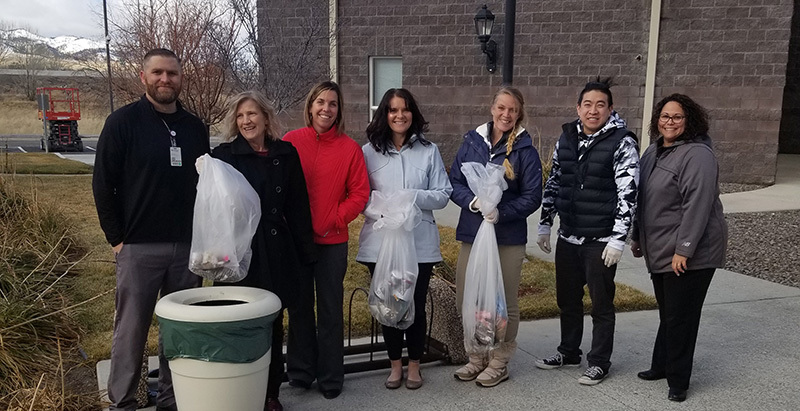 Members of the Employee Volunteer, REACT, Diversity and Wellness committees each sponsored a clean-up of the larger Renown outside properties on Monday, Jan. 21.